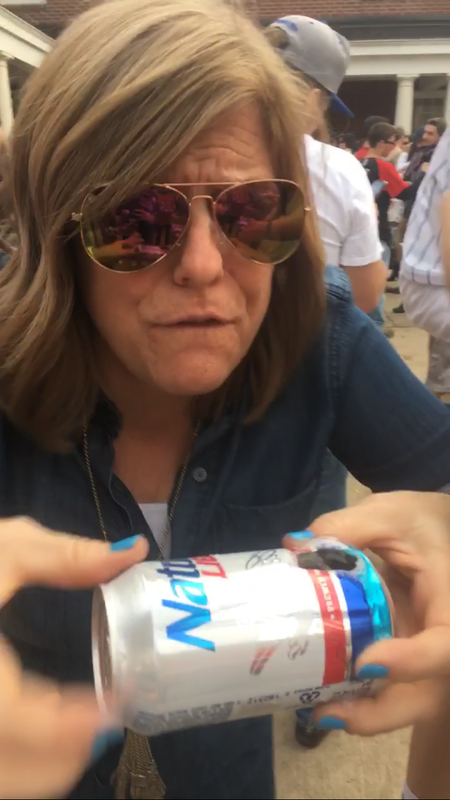 When you take a parent to a fraternity party two things happen: People try to give the parent excessive amounts of alcohol, and the parent consumes excessive amounts of alcohol. 1.“Where can I get a beer other than Natty Light?" I think my mother, along with any other parent, does not want to go back to cheap beer after drinking Stella Artois almost every night. That pretty much sums up how any girl in wedges feels after 10 minutes at a frat. 3.“If I was still young, I would date that cute boy over there!" Well, sorry to tell you mom, but you're pushing 50, with a husband, four kids, and I'm not sure that cute boy is interested in you. 4. *To cute frat boys* “Have you met my daughter, she's single and is looking for a cute boyfriend. She's very smart and will make a living for herself." Of course, your parent has to embarrass you at least a little when you take them out, but my mom sounded like she was trying to marry me off. 5. “Can I do that beer chug thing everyone is doing?" It's called shotgunning, mom. You want to shotgun? How about... no. 6. “Can I slap the bag?" 7. “That bag definitely has herpes now." The odds of her being correct were high, so with that, the wine bag was out. That means back to a scavenger hunt for beer. 8. “My feet still hurt." Really mom? Still complaining? Don't you have practice walking in high shoes? Deal with it. 9. “I can't believe that girl is wearing that low shirt. She looks like a prostitute." Little do parents know, their little angels dress half-naked to most parties. 10. "Can we please go home now?" As the clocks hit midnight its signals bedtime for my poor mom, even though most parents don't make it past eleven. Sorry, mom for embarrassing you with this, but it was just too fun! To any parents who haven't attended a frat party, you should truly go. Do what makes you happy, not what everyone else is doing. As a student at a university with a major sorority and fraternity presence, I know that those unaffiliated, like myself, can't help but wonder if there's something that we're missing out on. Seeing everyone walk around flaunting their letters can make a non-member feel a little left out. I have been told straight to my face "you're going to regret it if you don't rush." But, in all honesty, I don't. Now, don't get me wrong, being a part of a sorority or a fraternity sounds incredibly fun. With formals to hold, fundraising events to be a part of, "sister photo shoots" to have, and socials to go to, there never seems to be a dull moment for a Greek life member. Not to mention, those affiliated say they have made their absolute best friends through their sororities or fraternities. My friends that are a part of Greek life are always gloating about it, and I can see why. I joined my past roommate at one of her sorority formals and I genuinely had a ball being able to dress up and pretend it was prom again. However, as wonderful as all of this is, you don't need to be a part of Greek life in order to have THE college experience. Having letters on your shirts does not mean you are any better or any worse of a student than those without them. The letters do not define you. As an unaffiliated college student, I have still been able to find my group of "forever friends," join clubs, spend nights out, and get an education (since that is, after all, what we're all here for). As cool as it is to be able to stick Greek letters on the back of your laptop, for me, it just leaves more room for stickers of Harry Styles. Thankfully, college is a lot different than high school — there aren't really any cliques or status rankings. So, if you aren't a part of Greek life, that does not automatically put you at the bottom of the social ladder. At the end of the day, your affiliation does not matter at all. Instead of using a sorority or fraternity as a resumé booster, unaffiliated students can fill those blanks with other work, internship, volunteer, or extracurricular opportunities. so. Employers will not pick those in a fraternity over those who are not. They simply look for well-rounded individuals who are involved in something. 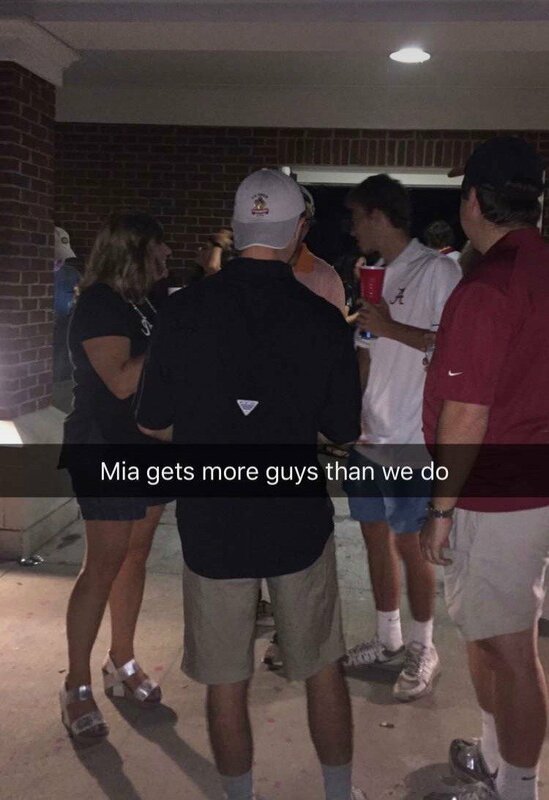 So, whether or not you're a part of a sorority or fraternity, I applaud you for making your own decisions and hopefully taking the college route that you wanted to. It does not matter what you are affiliated with, as long as it makes you happy. Otherwise, you aren't missing out on anything special.